The largest US mobile carrier, Verizon, has decided to join the VPN scene with an app, exclusive for its customers, called Safe Wi-Fi. Virtual private network applications allow users to connect directly to secure servers, using the internet connection only as a mean to transfer the encrypted data between the servers and your device. Depending on the app you are using this can sacrifice some connection speed, but you gain security and privacy – hidden IP address, no location tracking and so on. Verizon's solution will only be active when your phone connects to public Wi-Fi networks, such as airports, hotels and coffee shops. Those kinds of networks are often left unchecked once set up and could be compromised for a long time before anyone notices. Malicious software on open Wi-Fi networks can intercept communication between your device and websites and strip login or other personal information. 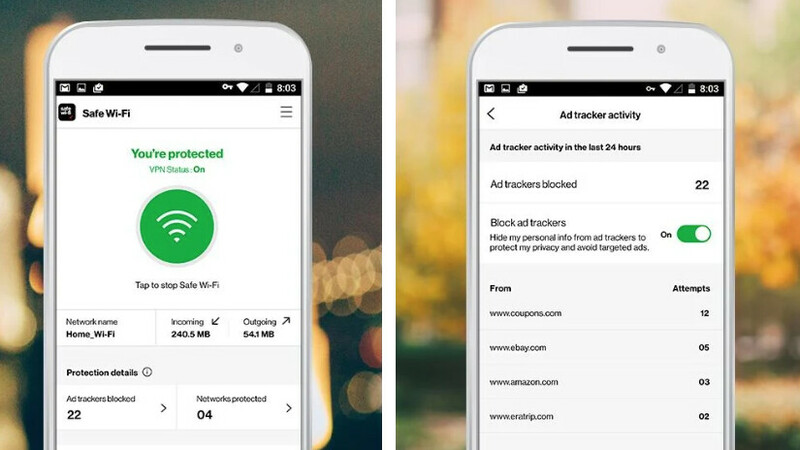 Along with the other benefits, Safe Wi-Fi will also prevent advertisers to get information about you, so no personalized ads on the devices that have it active. The app is subscription based and costs $4 a month, which will allow you to secure 10 devices that are associated with your Verizon account. The price is competitive, but other developers offer similar services that will also cover your mobile data. For example, VPN by Private Internet Access will cost you $3.33 if you pay yearly, but it will protect your internet usage both on wi-fi and mobile data. Why Verizon doesn't want you to be anonymous while on their own data plans, we think is self-explanatory. If you're a frequent traveler or just a tad paranoid, a few bucks a month can give your mind some peace. safe vpn from verizon?what a joke. That security is just an illusion . They keep logs so is USELESS. Any vpn that keeps logs is useless and should close their business.